In an era where the movie industry prefers to adapt comic books and best selling novels in to multi million movie productions, it is nice to know that we are being served with something new... or should I say something old but haven't been presented to us for I think quite a while now. We also saw a lot of Bio Pics from famous celebrities, politicians and even notorious criminals. But it's been years since we have seen a film about new age inventors, the innovators of 21st century. Ever since Columbia Pictures announced this project with David Fincher (The Curious Case of Benjamin Button) aboard, I really predict that this movie will be the film everyone should never miss. And after watching it last night, I guess my prediction is right. 2003, in Harvard University. Student Mark Zuckerberg (Jesse Eisenberg) gets the idea to create a website to rate the attractiveness of female Harvard undergraduates after his girlfriend Erica Albright (Rooney Mara) breaks up with him. 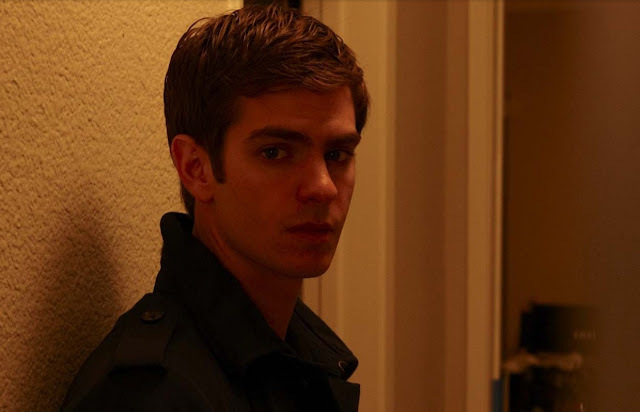 Using an algorithm from his best friend Eduardo Saverin (Andrew Garfield), Mark (while under the influence of alcohol) creates a page called "FaceMash", where male students choose which of two girls is more attractive. Receiving thousands of hits online and almost crashing Harvard's network, Zuckerberg is sentenced to months of Academic probation. Misfortune? Not really. Because this incident sparks the birth of something big not only for Zuckerberg but also for everybody... ONLINE. First of all, The Social Network is not about Facebook. It is more about the PEOPLE behind it. The story material itself makes the movie very watchable. People are curious how Facebook comes to life but they are also curious how the people behind it live their lives while creating it. Aaron Sorkin's script and David Fincher's directorial style compliments each other very well for a fast paced story telling without being a bore. this 27 year old American-British actor could be the next academy Best Actor title holder. aka Spider-man on a reboot film. Jesse Eisenberg and Andrew Garfield is a perfect tandem that serves as the driving force for this film's success. Eisenberg provides the eccentric (close to emotionless) side of the film while Garfield delivers a terrific job on showing the emotional and dramatic side of the material. Garfield will surely get an Academy Award nomination for this performance and contracts for more good projects in the future. Meet Sean Parker, founder of Napster and adviser of Facebook played by pop star Justin Timberlake. People are asking me why the hell Justin Timberlake is in the film. Now I can answer them. He is in the movie because he is damn good and surprisingly brilliant. If Jesse is the brain and Andrew is the heart of the film, Justin Timberlake is the swagger. He is the attitude. He is the perfect image of a conniving mind which is too bad most business venture needs to be successful. His character, Sean Parker who happens to be the founder of Napster could be seen as the villain in the film but I can't hardly disagree with him most of the time because the ugly truth is he is always right. I'm also seeing an academy award nomination for Timberlake and probably more movie deals... as in good, BIG movie deals. I also want to commend the subtle but excellent use of CGI on this film more specific for the characters of Winklevoss Twins. Just a trivia for everyone, Cameron and Tyler Winklevoss, founders of ConnectU previously known as Harvard Connection is known to be played by only one actor which is Armie Hammer. 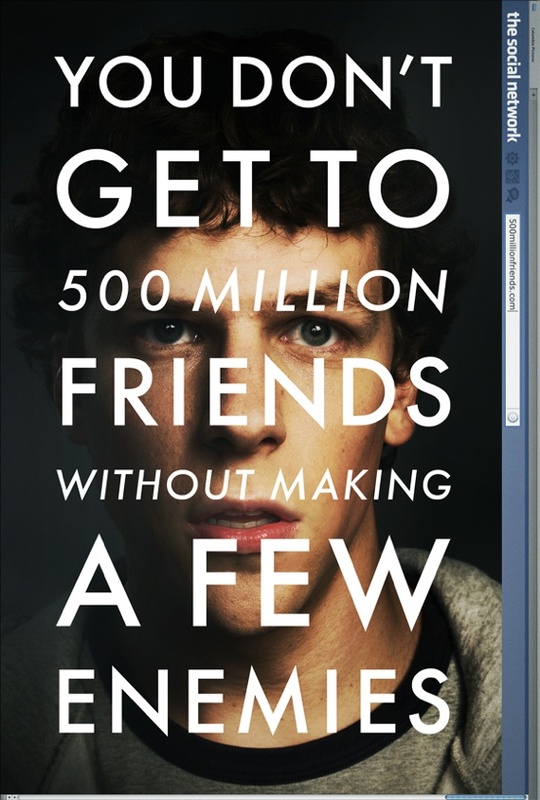 on Columbia Pictures' The Social Network. But I just found out that the twins are actually played by two different people. 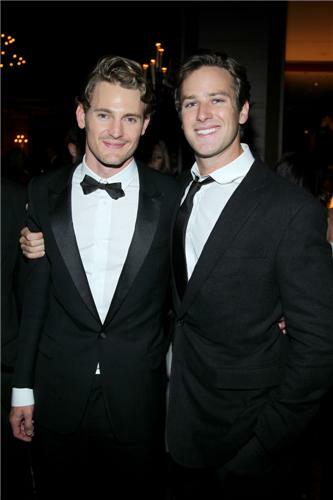 Armie Hammer plays Cameron Winklevoss while Josh Pence plays Tyler Winklevoss. But since Armie do really have more resemblance to the Twins, his face is used to create a hybrid actor by pasting a CGI Armie Hammer face to Josh Pence's body. Quite neat right? But Fincher also mentioned that they also used old school split-screens and rotoscoping on some scenes. 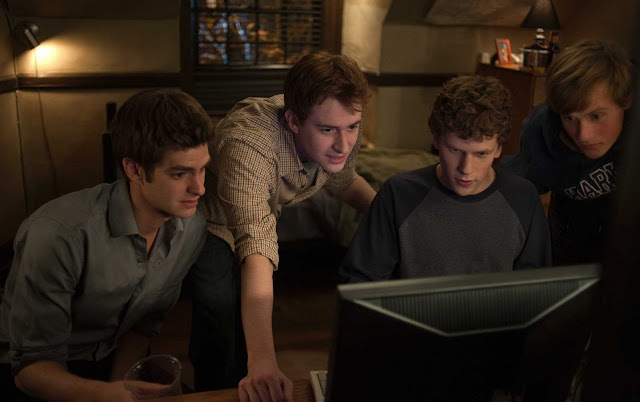 The Social Network is a brilliant piece of work immortalizing a contemporary tale of online magnates. From the leads to the supporting cast and to the men (and women) behind the production, I can't hardly think or say anything bad about them. This film proves that on this generation, we don't need a decade to make history because discoveries happen overnight. This movie is absolutely one of the best this year and deserves a recognition for a job well done. 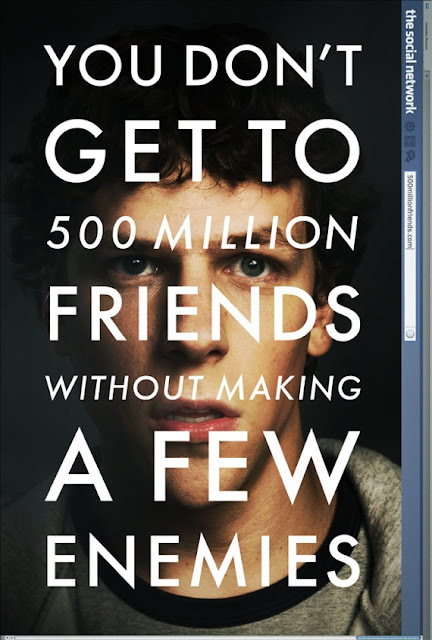 Directed by David Fincher, starring Jesse Eisenberg, Andrew Garfield, Justin Timberlake, Brenda Song, Max Minghella, Rooney Mara, Rashida Jones, and Armie Hammer, The Social Network comes to theaters on October 27, 2010. Distributed by Columbia Pictures, local office of Sony Pictures Releasing International.